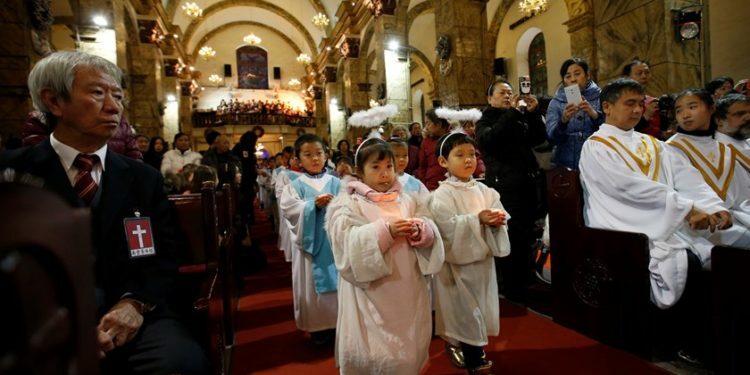 The Chinese Government has placed a ban on children in the country from attending church services. The move is reportedly a bid to crack down on religion in the country, particularly Islam and Christianity. According to Daily Mail, over one hundred churches in Wenzhou, China’s Zhejiang province were served a notice saying minors will not be allowed to enter churches. They will also be banned from participating in religious activities and attending religious sermons. Churches are also not allowed to organise a youth summer camp. At this point, its unclear how widespread the bans on children attending church services are in China, but these alarming reports seem to be coming in from fairly diverse areas throughout the country. China is in the midst of a religious revival and the current government seems concerned that religion could be a means through which foreign values may ‘penetrate’ into China and ultimately affect political stability. In an important speech on religion last year, Xi Jinping said that young people must study science, believe in science and develop a ‘correct’ worldview and set of values. It is suspected that the ban is to ensure the development of a generation whose idea of the truth and general worldview would be whatever is taught by the Chinese government through the public education system.